Representatives from dozens of local businesses gathered Friday, Jan. 9 to learn how their companies could help Houston ISD first-graders learn how to read. It only takes 30 minutes per week, and volunteers can make a difference without ever leaving their desk. This entry was posted in Literacy, Read Houston Read and tagged Barbara Bush Houston Literacy Foundation, literacy, Read Houston Read on January 9, 2015 by HISD Communications. This entry was posted in Literacy and tagged literacy, Read Houston Read on December 3, 2014 by HISD Communications. HISD’s summer reading program just got a lot more competitive. The district’s corporate partner, myON, has announced that it will be extending students’ access to its online library through Aug. 31 and offering prizes to students who read the largest number of books and/or spend the most time reading there. 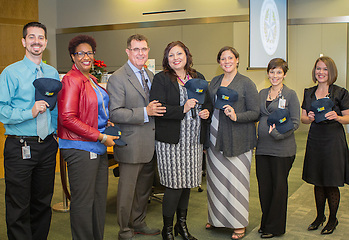 HISD joined forces with the company earlier this year to expand students’ access to age-appropriate reading materials. This entry was posted in Literacy and tagged literacy, summer reading on July 30, 2014 by HISD Communications. On June 9, Cindy Puryear became HISD’s new director of literacy. We sat down with her recently to talk about how she overcame her own reading difficulties as a young person, when she first knew she would be a teacher, and what her goals are for the first year of Literacy By 3. Following is a condensed transcript of that conversation. This entry was posted in News and tagged Cindy Puryear, literacy, Literacy By 3 on July 22, 2014 by HISD Communications. Do you have a rising freshman or sophomore who needs to boost their reading and writing skills? HISD is hosting a free Literacy Enrichment Camp to give them tools to help increase their end-of-course exam scores. This entry was posted in High Schools and tagged literacy on July 17, 2014 by HISD Communications. This entry was posted in Literacy, News and tagged literacy on July 14, 2014 by . Houston Mayor Annise Parker stopped by Blackshear Elementary on Monday to encourage students to keep reading over the summer. Parker said teachers can tell which students read over the summer and which ones didn’t because reading skills tend to fall back when children don’t read. Officials from Houston ISD and the Houston Public Library told students, many sporting Cat in the Hat hats, about their summer reading programs. Students can participate in both programs without having to read separate books — and can gain separate sets of incentives. This entry was posted in Elementary Schools, Literacy, News and tagged Annise Parker, Blackshear ES, literacy on May 19, 2014 by HISD Communications. 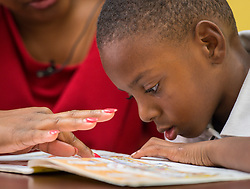 The Barbara Bush Houston Literacy Foundation on Thursday unveiled a plan of action to boost literacy rates across people of all ages, and is partnering with the Houston Independent School District and other organizations to make literacy a top priority. “The blueprint’s purpose is to increase awareness of Houston’s prevalent literacy crisis, elevate literacy as a top priority, and mobilize the community into action,” she said. The announcement follows the presentation of HISD’s comprehensive literacy plan – Literacy By 3 – to the Board of Education at a workshop last week. The plan engages students, teachers, parents, and community members around the goal of having every student reading with proficiency by Grade 3. This entry was posted in Early Education, Elementary Schools, Literacy, Volunteers and partnerships and tagged literacy on April 24, 2014 by HISD Communications.